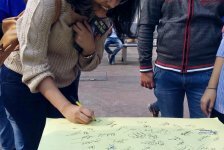 Youth for Human Rights India raises awareness of universal rights, promoting education on the Universal Declaration of Human Rights to help the country tackle pressing abuse India, a country of 1. 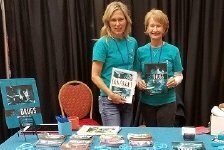 Foundation for a Drug-Free World Colorado chapter brings the truth about drugs to the Colorado Sheriff’s Departments’ statewide annual convention. A volunteer from Pakistan is training university students and emergency personnel in Jakarta on techniques to help Indonesians recover from recent disasters. Without much fanfare, a prison in Siaya, Kenya, is investing in the future of inmates, using the Scientology Volunteer Ministers program. Staff at the Siaya GK (Government of Kenya) Prison swear by the Volunteer Ministers program. 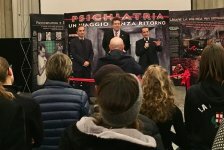 Citizens Commission on Human Rights Italy brings Psychiatry: An Industry of Death Exhibit to Milan to expose psychiatric abuse and put an end to involuntary commitment in Italy. Clearwater Scientology Volunteer Ministers and volunteers from the Martin Luther King Jr., Center join forces to spruce up the neighborhood. 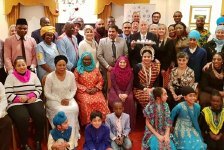 Church of Scientology London helps organize a celebration of many faiths that call London home. Members of the mental health watchdog Citizens Commission on Human Rights targeted psychiatrists in Japan for administering powerful psychotropic drugs to children. 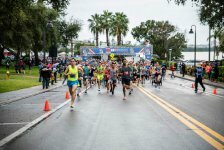 Race raises awareness of the drug epidemic and rallies the Tampa Bay community to take effective action. Drug overdoses killed 72,000 Americans last year. 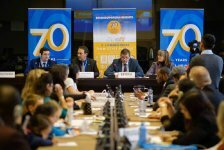 The Church of Scientology joined other religions and NGOs at UN headquarters in Geneva in a conference promoting cooperative effort to ensure human rights for all. 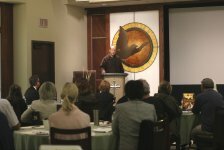 In honor of the 70th Anniversary of the Universal Declaration of Human Rights, the Church of Scientology of Pasadena hosted an open house to raise awareness about human trafficking. Toronto drug prevention Christmas festival helps youth make the firm decision to grow up drug-free. For three decades, Drug-Free Marshals have been setting an example for Ontario youth and this year was no exception. Monthly cleanup tackles needed issues. By actual survey, two main concerns of residents of Hollywood are the plight of the homeless and keeping Hollywood clean and safe. 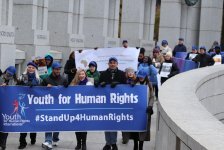 Human rights advocates march to accomplish the goals of the Universal Declaration of Human Rights on its 70th anniversary. 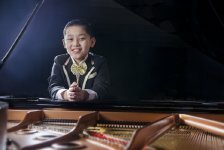 Representatives of 25 nations joined 9-year-old Irish-Born Chinese piano virtuoso Han Xuan Yu in celebrating the 70th Anniversary of the Universal Declaration of Human Rights at an event at the Church of Scientology & Community Centre. 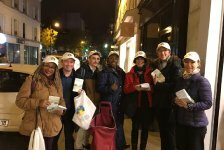 Volunteers from the Church of Scientology of Paris launched a “Call for Calm,” as riots led by the Yellow Vest movement engulfed the city.